French, patio and bi-folding doors give you an increased view of the outside and you can benefit from more natural light within your home, increased ventilation and better access into your garden or patio. Our range of French, patio and bi-folding doors are available in a variety of styles along with numerous glazing options. Each door is tailor-made and designed to be an elegant eye-catching introduction to you home and include innovative security features. 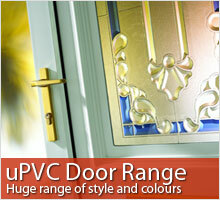 All of our doors are backed by a 10 year guarantee. We have a variety of frame finishes that are available for both French, patio and bi-folding doors. Many different colours are available including the complete range from the RAL Colour System. RAL colours are available on request.